Wagyu Beef Menu - Adult: Dehydrated natural food for adult dogs of all breeds made with top quality ingredients suitable for human consumption. 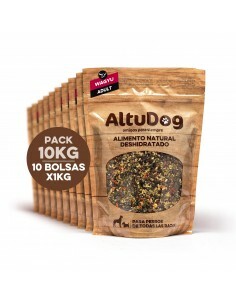 Complete and natural food for adult dogs of all breeds. 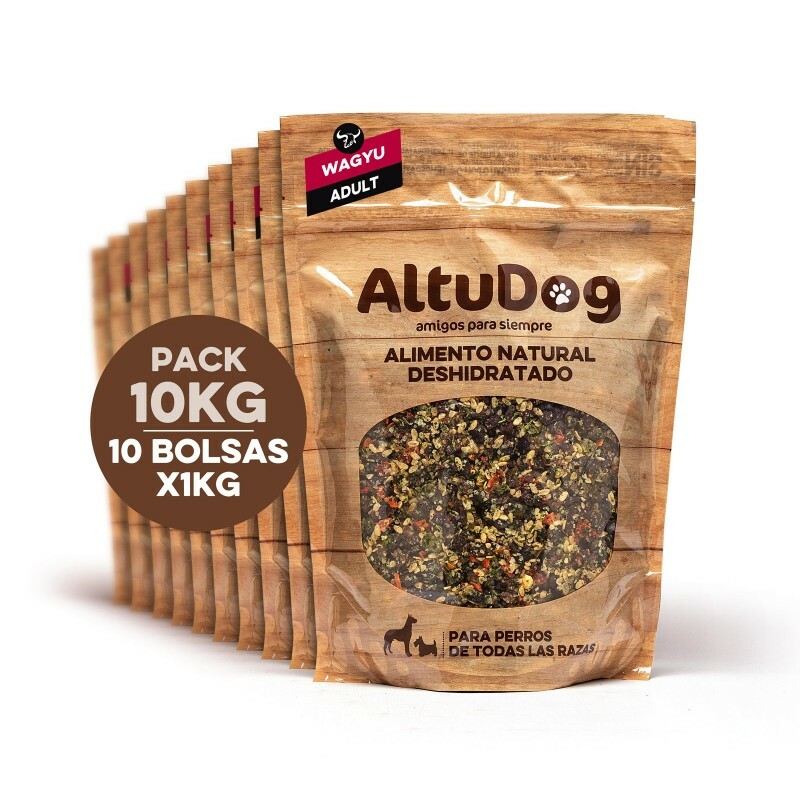 10 sachets x 1kg (Total 10kg) which corresponds to 40kg of fresh food or the equivalent of a bag of 20kg of super premium processed feed. Packed in protective atmosphere. Expiration: 6 months from the date of its manufacture. Once opened, store in a refrigerator, the product will maintain its properties for up to 25 days. Ingredients: Wagyu dehydrated beef 50%, cooked and dehydrated brown rice 16%, dehydrated fruits and vegetables 15% (potato, carrot, tomato, spinach, apple and cranberry), Wagyu fat 10%, Wagyu heart 5%, whole egg with shell (2%), salmon oil, seaweed, garlic powder, turmeric and rosemary extract.